San Leandro man on probation arrested for driving stolen truck with drug paraphernalia. Around 4:20 am Tuesday, January 15th, a San Leandro Police officer on patrol located a white Dodge truck that was driving poorly. The officer conducted a traffic stop and contacted the driver, 31 yr-old San Leandro resident Anthony Nunes. During the stop, the officer learned that Nunes was on probation for a previous assault case. As a condition of the subject's probation, the officer searched the truck Nunes was driving. Inside, the officer found a "meth pipe" used for smoking narcotics. While the officer was inside the truck, he noticed that the steering column was damaged and the key in the ignition did not properly fit. The officer decided to contact the registered owner of the truck who stated that no one should be driving his truck and unbeknownced to the owner, it had been stolen. "We have to give credit to the observant officer who noticed the decoy key in the ignition," said San Leandro Police Lieutenant Isaac Benabou. "This was an unreported stolen vehicle that would have eluded us had the officer not noticed the cover-up attempt by the suspect." Anthony Nunes was arrested for auto theft, burglary tools and possession of drug paraphernalia. This afternoon, the Alameda County District Attorney charged Nunes with the listed offenses. 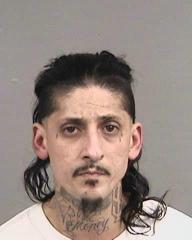 Nunes remains in custody at Alameda County's Santa Rita Jail in Dublin.